From France to Mendoza, meet CarinaE co-founder Brigitte Subra. A dutiful wife who followed her husband to his various professional postings around France, social worker Brigitte Subra fell in love with Mendoza when they moved there for his Argentine contract from the very first night she saw some folk musicians. 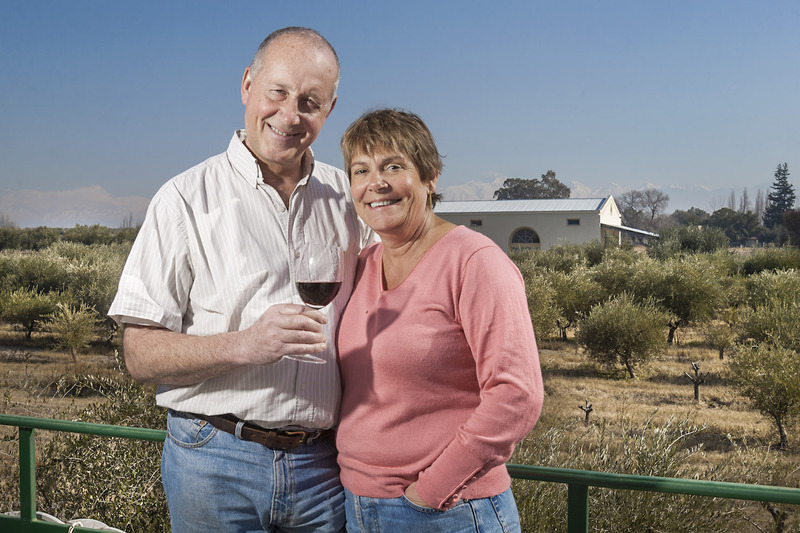 Despite that professional cycle concluding a decade ago, the couple bought two small fincas and and an old winery, obtaining their first Syrah harvest for CarinaE bodega a year later. Brigitte says: “It was raining the first time we went to Mendoza, and it never rains there! It was April 3 in 1998, and my husband Philippe had been chosen to come to Argentina on a contract. Basically his company wanted to see if I could deal with being here! So I spent a week in Mendoza – with the rain – but I was convinced that I would like living here – it’s the dream after all, to have an adventure! And so we moved there that August, and as Philippe is an electrical engineer, he then started his contract – nothing to do with wine! The wine came later! Given that Philippe’s work meant that the couple and their three children had upped roots on a regular basis in France, this time round meant another new start but in a different hemisphere. Brigitte says: “I had already learnt to deal with change and new places but in France. And I didn’t work for around 10 years as it’s hard to raise a family and work when you are also moving around. But as soon as I was in one place for more than three years, I always returned to work. “Of course, setting up a new life here wasn’t a complete breeze and the first two months were a bit difficult – but in my experience, it’s always like that. I didn’t speak the language, I had always worked helping problematic teenagers in France and suddenly I wasn’t working in Mendoza. I had left France with plenty of activities going on as the children had already grown up and had suddenly had a lot of spare time. Of course, at some point her husband’s contract was bound to reach its conclusion and in 2002 the conversation about moving back to Paris opened up. However, that return wasn’t meant to be. She says: “In our minds, returning to France was what we were going to do. But one of our dreams was to find our own paradise that we could retire to and divide our time between Argentina and France. And in the search for that spot, we ended up finding a finca in Maipú, which had 15 hectares with 10 already planted with grapes. And Philippe said, this is for us! And as we both love wine, that’s how it started, in November 2002. Running a winery is a seven-day-a-week job and although CarinaE produces a relatively small 100,00 bottles in comparison with larger, more commercial wineries in Mendoza, it requires plenty of dedication. Brigitte says: “It’s been 10 years of hard work and sacrifice, 10 years without any holidays, but of course it’s a pleasure because we’re doing something that we love. We are involved in everything as it’s a personal winery, it’s very small, and we have a young team, which is very interesting to work with. Philippe had always dreamt about having a winery of his own, but he’d never found the right product – and we’d never had the budget either – until now. You only have an opportunity like this once in your life, so we took it. “We had a fabulous start in 2004, because that was when people started talking about Argentine wines, and our growth carried on until 2010. But since then, because of inflation, it has been harder but we have been able to resist it as we offer tourism at the winery. If we only had the domestic market and exports, we probably wouldn’t be able to meet all our costs. And we don’t have the budget to pay someone for what we do, but that’s just how it is in Argentina! “Ever since we started, we’ve lived at the finca – in fact, we don’t leave it that much! The bodega is 50 metres from our house and is surrounded by olive trees. And there really isn’t any free time, although I try to do some exercise when I can. But it isn’t really work either! We love the product so much, that it doesn’t feel like work.